Hate-watching is a staple of our modern entertainment ecosystem. It even has its own Wiki page, defining it as watching a show or event while simultaneously hating its content or subject. Social media trash talk and/or trolling is an essential part of the hate watch — and as Washington Post notes, "On social media, there’s nothing like NBA Twitter. It’s a sports bar that doesn’t close, a barbershop with unlimited seating, a family cookout where the NBA stars show up to hang." The NBA Finals are a great time for hate-watchers. Once playoff Darwinism separates the wheat from the chaff, the NBA Finals turns into a Playa Hater’s Ball for a large segment of viewers. Hate-watching allows both cynics and casual fans to emotionally invest in the two Finals teams, alongside the die-hard fans who've been watching for months/years/lifetimes. Scour social media or scroll through texts and the majority of the conversation is centered around dragging a specific player or team. It's not new for this year's NBA Finals, either. Jordan cultists fixated on hate-watching Kobe in seven Finals. Lakers fans hate-watched the Celtics, and vice versa. During San Antonio's Duncan era, the hate-watching centered around their tedious, yet efficient execution and emotionless play. July 2010’s “The Decision” sparked an anti-LeBron pathology in a generation and even in Cleveland. In the process, the Miami Heat kickstarted an era of player-generated juggernauts that fans still revolt against. They became known as the Heatles because of their front row celebrity fans like Justin Bieber and David Beckham, but they were polarizing to much of basketball fandom — who still watched and reveled in their failures. 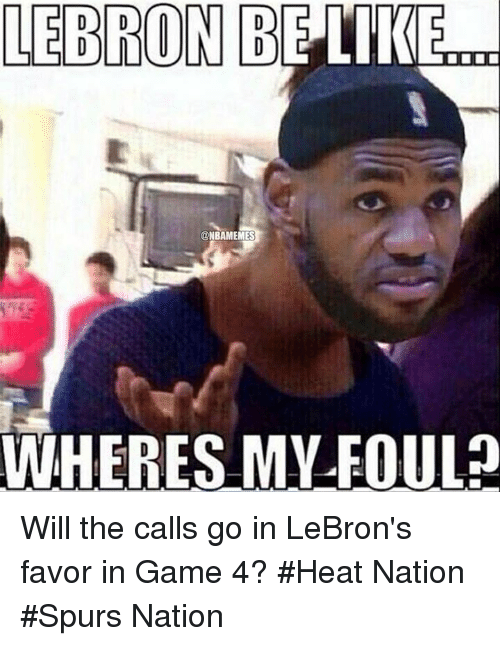 Dallas' defeat of the Heatles in the 2011 NBA Finals was the height of hate-watching, and James' 2014 rubber match loss to San Antonio gave plenty of ammunition to his haters. Meme culture has created a new outlet to watch and mock the greatest player of our generation. LeBron's Game 1 cramps during the aforementioned 2014 Finals inspired a juvenile 'LeBroning' meme. The image of an exasperated James shouting at a confused JR Smith during the end of regulation in 2018's Game 1 will live on in infamy. Meme historians (which will probably exist) will look back and wonder why we were so derisive toward James, the Warriors, Kobe Bryant and those of their ilk in the 21st century. For basketball oldheads, Golden State’s greatest offense may be their role as the posterchildren for a new era of teams catapulting 3-pointers at the expense of more exhilarating drives into the paint. The passage of time has given everyone plenty to detest about the Golden State Warriors; the cuddly, baby-faced, revolutionary, organically-grown Warriors roster from 2015, who had Riley Curry as their unofficial mascot, are gone. After collapsing with a 3-1 lead in the 2016 Finals, “3-1” jokes began and have shown no signs of stopping. Today's Warriors are older, more ornery, cocksure and over-exposed. Durant channelled a bit too much of Green’s aggressiveness this season and was ejected a league-high five times. Golden State was once the salt of the earth, a young and egoless team supplemented by the deepest bench in the league. They’re now a top-heavy roster whose instrument of destruction is The Hamptons 5 lineup, a trademarked group of aristocratic assassins. The Hamptons is where Curry, Green, Thompson and Iguodala pitched Durant on joining them during the summer of 2016 and ruined the NBA’s competitive balance. That five-man lineup has since become the NBA’s most devastating juggernaut. Durant is despised by a separate segment of the population who believe he’s soft for joining the team that had just beaten him in the Western Conference Finals. But really, his latching onto Golden State has left 28 other NBA cities feeling left out by Golden State’s monopoly on talent. There’s nothing millions of NBA fans would rather see than him falling flat on his face. But ultimately, hate-watching isn’t about who wins or loses. It is both rooted in pettiness and irreverence. The NBA Finals is the ultimate love/hate relationship for viewers without a rooting interest. The more you win, the more you’re hated — but they'll be watching either way. Catch game 4 of the NBA Finals tonight at 9pm ET/6pm PT on ABC.